Your Niagara Outdoor team takes pride in their workmanship on every project. Our team has grown to almost twenty employees and we strive to maintain the high level of quality our clients have come to expect. Greg Brunet has over 10 years of experience in the landscape and construction industry. He developed an interest in pursuing a career in landscaping after working for a reputable landscape company under federal government contracts in Australia. Aside from the every day landscaping jobs, he also focuses on sales and customer service at Niagara Outdoor. Greg obtained a Small Business Management Diploma from Mohawk College and received Award for Entrepreneurial Potential in 2006, and completed training with the Landscape Management Network. Trevor grew up and worked on the family farm from a very early age and has applied those principles into running Niagara Outdoor. Trevor graduated from the University of Guelph in 2007 with a Bachelor of Commerce and has spent over 10 years working in the landscape and construction industry. Trevor oversees the day to day operations of the company. His highly effective management skills ensure productivity and profitability, and and his attention to detail ensures that all jobs run smoothly. Kim graduated with a Bachelor of Landscape Architecture from the University of Guelph in 2007 and has been growing her expertise in landscape design and construction ever since. 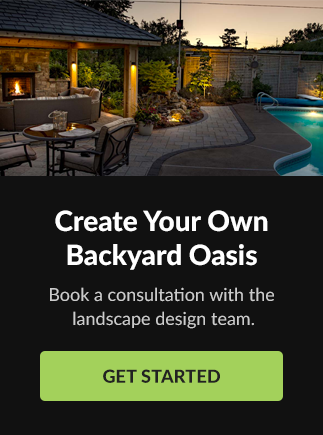 Likely your main point of contact when inquiring about a new landscape project, Kim makes the process of designing, pricing and planning a landscape project enjoyable and worry free.